Carey Hosterman discovered the bronze casting industry while he was still in high school. Although he worked at a number of different after school jobs, spending time at a local bronze foundry gave him experience. Most of all, working with the sculptures lit a spark in him that changed his path in life. He fell in love with the process, step-by-step development taking an idea to fruition. In 1994 he opened Rocky Mountain Bronze Shop. It is the longest running bronze finishing shop in Loveland Colorado, which is a hotbed of bronze foundries and sculpture expertise. 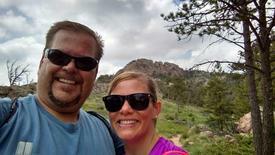 As owners/operators of the shop, Carey and his wife Amy's talents compliment one another. 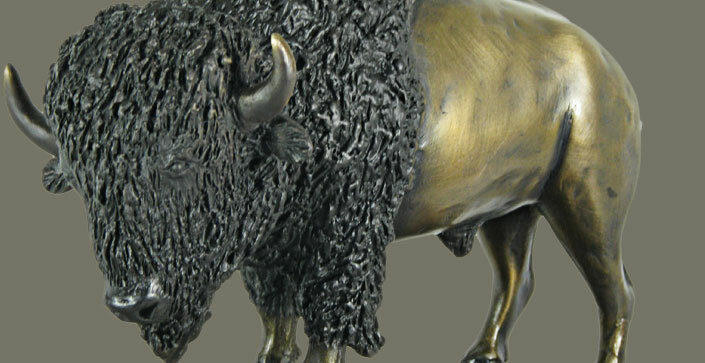 Carey skillfully guides world renowned sculptors' works through the lost wax bronze casting and finishing processes. He then installs the pieces (some of monumental proportions) across the country. Although Amy headlines as bookkeeper and office administrator extraordinaire, she is often in the foundry, where she is adept at fine finishing work as well. Together they give their clients the kind of personalized customer service that sets their bronze foundry apart. 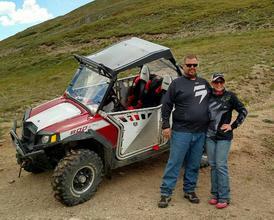 When they are not working, the Hostermans enjoy the Colorado outdoors hiking, 4-wheeling or driving their award-winning Mustang.